This month our Resin Manufacturer of the Month is Mr. Felix Rufolo of ItalianKitsMailOrder - CunarModel which makes aviation kits in 1/72 and 1/48, vehicles in 1/72, 1/48 and 1/32, figures in 1/72, 1/35 and 1/32, photoetch details, decal sheets and other hobby related items. Please see his site at www.italiankits.it. Felix has first-hand knowledge of aviation because he used to be a helicopter pilot in the Italian Army (Esercito Italiano). He also has a stamp program which offers those stamps that feature historic aircraft. Be sure to see his wonderful selection of kits! Often he has subjects that no one else produces such as the Fiat G.80 and Fiat G.82, Italy's first post-war jet aircraft. IRMA©SM®TM: How did you get started in the modelling industry? 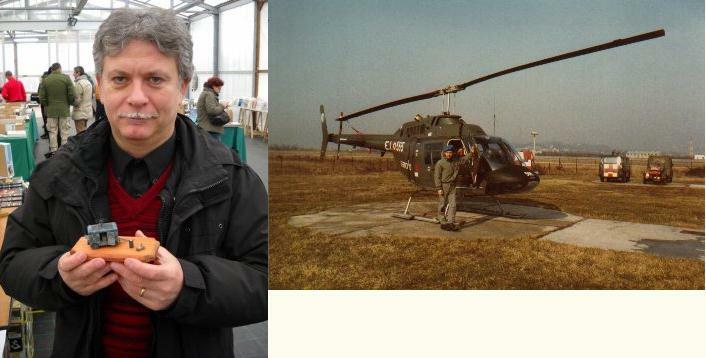 It was my child passion and after military career I started a line of models, first RCR and after Italian Kit. IRMA©SM®TM: Where did Italian Mailorder Kits/CunarModels originate? At my home in Cinisello, near Milano. IRMA©SM®TM: Is most of your business local, regional or international? It is the same in and out of Italy. In this last period better international. IRMA©SM®TM: How do you decide what kits to make? 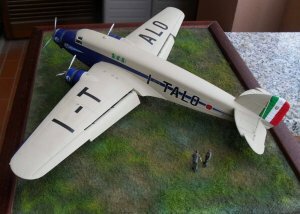 I am very incostant (inconsistant), I like all things which may be reduced in scale, so a day I start a figure, a day an aircraft, a day a vehicle, now I am working at decals for Italian aircraft, the result is that I start many pieces and take much time (months, years) to complete one. IRMA©SM®TM: What amount of time does it take to create a kit from drawings and photos to the master and casting? As described at previous question. IRMA©SM®TM: Where do you see your company going in the future? I hope better than now, I am moving in October to an (my) own spot to have a personal atelier (studio) where I can work. IRMA©SM®TM: Is there anything you would like to share with our IRMA Members? More time to dedicate to our hobby, and the support of all modellers, to follow and buy our products, it gives us the force to continue. IRMA©SM®TM: Thank you for sharing your time and thoughts with us Felix! Good luck in the future! Boxart for the Fiat G.80 in 1/72 by CunarModel. This is a clean, detailed kit with the typical amazing detail including the interior that Felix brings to the market! This kit even comes with the engine and parts not seen from the outside. The build is clean and efficient with no sanding, filing, filling or cutting required. 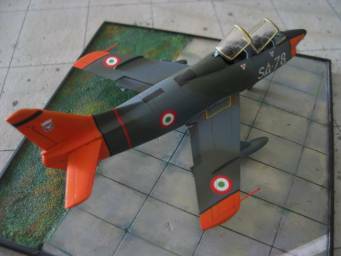 This is the Savoia Marchetti SM89 by Italian Kits Wings IKW7211 in 1/72. These kits are very clean to build with interior details even more extensive than in plastic-injection kits. Often this is the only place to find a particular subject, especially when it deals with items of Italian origin. 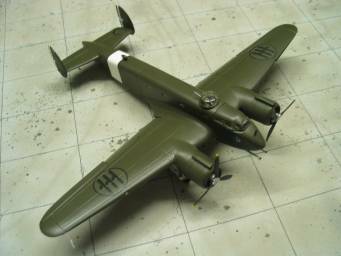 Here is the Savoia Marchetti SM75 PD conversion kit by Italian Kits Wings IKW7212 that goes with the 1/72 kit by Italeri. These too are of the highest quality with an amazing amount of detail! 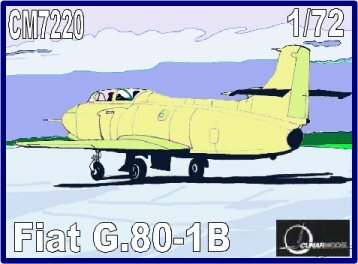 The original and high quality kit for the Fiat G.91T by CunarModel CM7205. Amazing detail, parts fit well, decals are accurate and the quality is excellent! 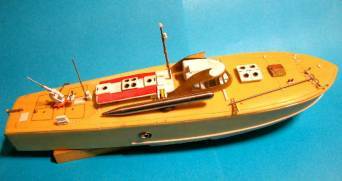 A future releas of an Italian MAS 500 Torpedo Boat by Italian Kits IKN7201 in 1/72. Looking forward to this!